← New York City…in the winter! 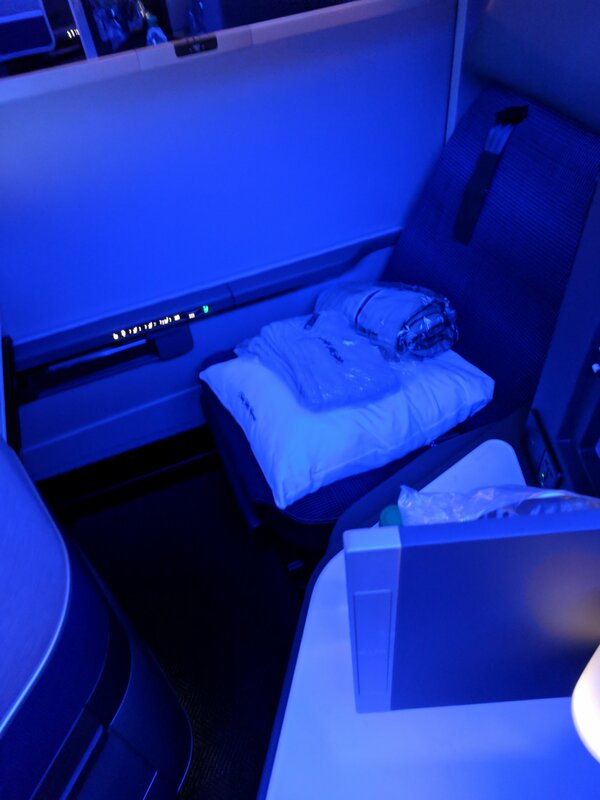 This week, I decided to try a different route to Israel and try the new United Polaris Club and business class seating. 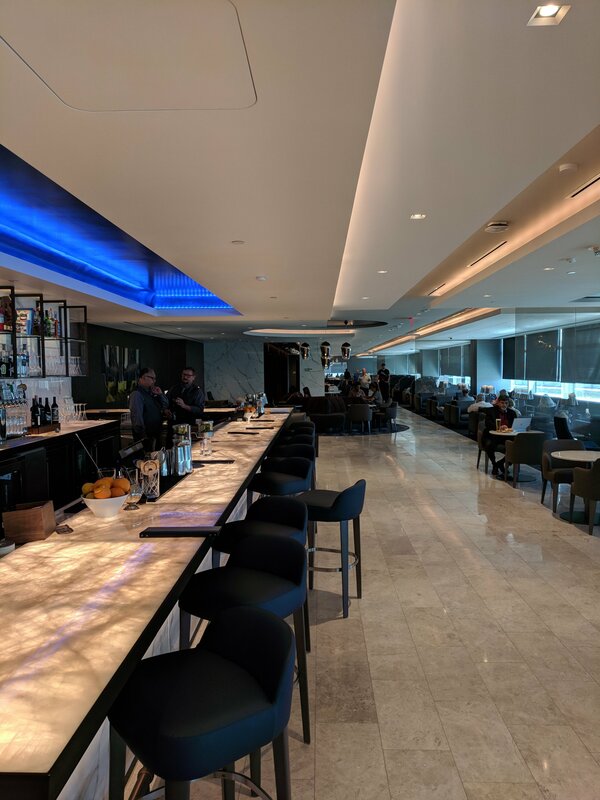 I first checked out the new Polaris club in Terminal 3 of the San Francisco airport. Pretty classy. Modern, great choices, excellent service. #1 problem, it gets filled up pretty fast…but I would still give it 5 stars when it is not crowded. Next, hopped on to the airplane. I must admit I love these new suites. They are very private and you almost never see or bump into anyone. One of the best I have used in a long time. 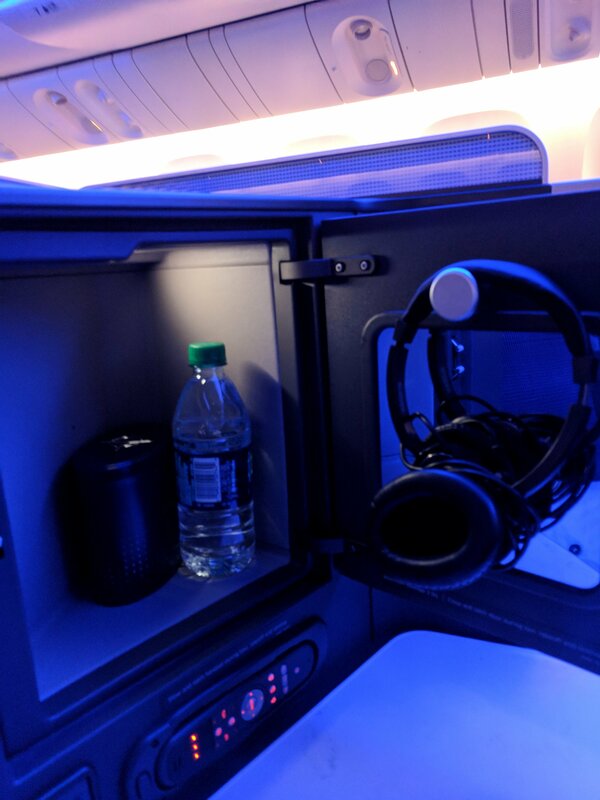 You even have a little cubby with a door that you can store things in. Very handy and helpful! Then when breakfast time arrived, I had to wait about an hour, so I called an attendant. I asked about breakfast and she asked “Did I order it?”. Yes…I guess you can guess my feelings after 12 hours on this flight. The entertainment system was very nice and modern. Much better than Delta’s, but…it was May 28th and the movies in the system were still from April! 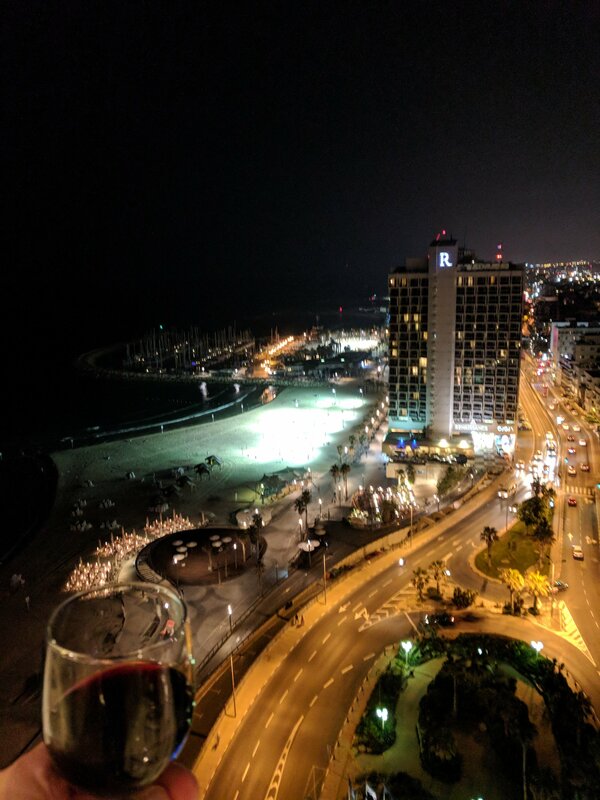 I will recover with a glass of wine looking over the beach in Tel Aviv. 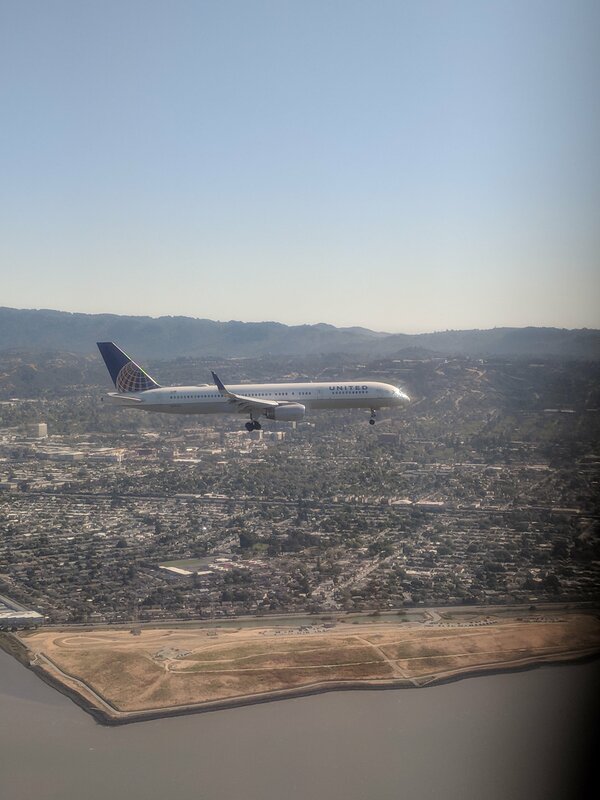 This entry was posted in International, Travel, Uncategorized and tagged Air Club, Club, Flying, Israel, Travel, United. Bookmark the permalink.